Our Fellowship has two Affiliated Community Ministers and one Affiliated Minister whose work is in other UU congregations. The Rev. Peggy Clarke‘s community ministry is with InterGenerate, a local organization that she co-founded. Creating environmental and social sustainability around shared concerns for food security, InterGenerate reaches across traditional social boundaries to bring people together to grow our food locally, sharing the work while deepening ties to each other. InterGenerate addresses food justice issues of 1) equal access to fresh food, 2) just treatment of food industry workers, 3) humane treatment of animals, and 4) organic agriculture which allows our eco-system to thrive. By opening and managing community gardens, egg co-ops and bee hives, InterGenerate provides local access to food that’s good, clean and fair. 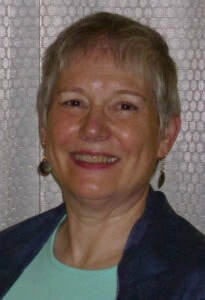 ​Peggy is also the settled minister at the First Unitarian Society of Westchester in Hastings-on-Hudson. ​The Rev. ReBecca Sala is Manager of Pastoral Care at Stamford Hospital. ReBecca graduated from New York Theological Seminary in 2003 and became a Board Certified Chaplain through the Association of Professional Chaplains in 2007. Her community ministry focuses on supporting patients living with a mental illness through Mind, Body & Spirit groups, individual support and advocacy. The Rev. Dawn Sangrey is also an affiliated minister of UUFNW. Dawn has been focusing on interim ministry in recent years, helping congregations through the transition time between settled ministers. Dawn is currently serving as consulting minister to the Unitarian Universalist Congregation of Rockland County, in Pomona NY.